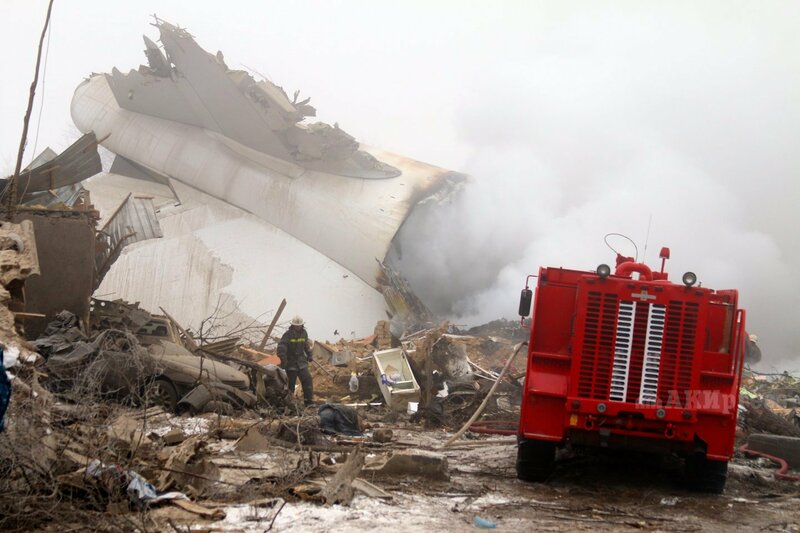 AKIPRESS.COM - Turkish cargo plane Boeing 747 flight 6491 has crashed in Chui region, Kyrgyzstan on January 16 morning, the Ministry of Emergencies confirmed to AKIpress. 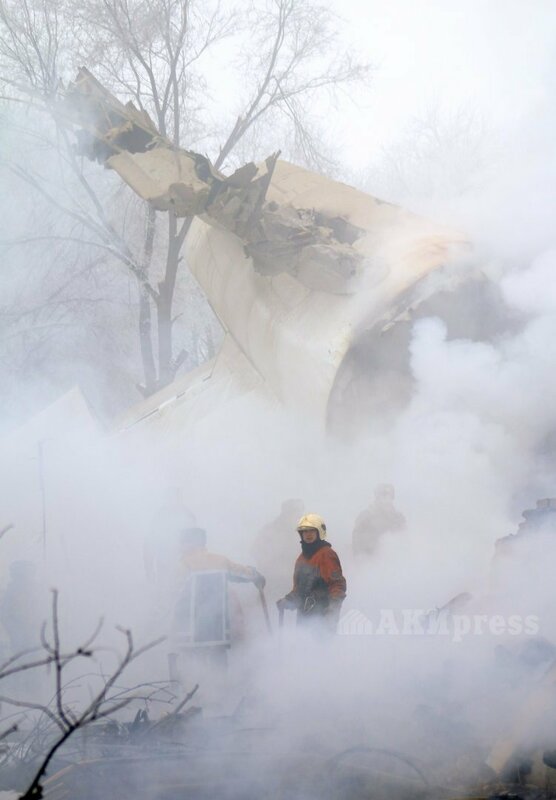 The plane crashed 7:31 am Bishkek time (GMT+6) in the village of Dacha-Suu, Sokuluk district near the Manas International Airport. The plane was arriving from Hong Kong. 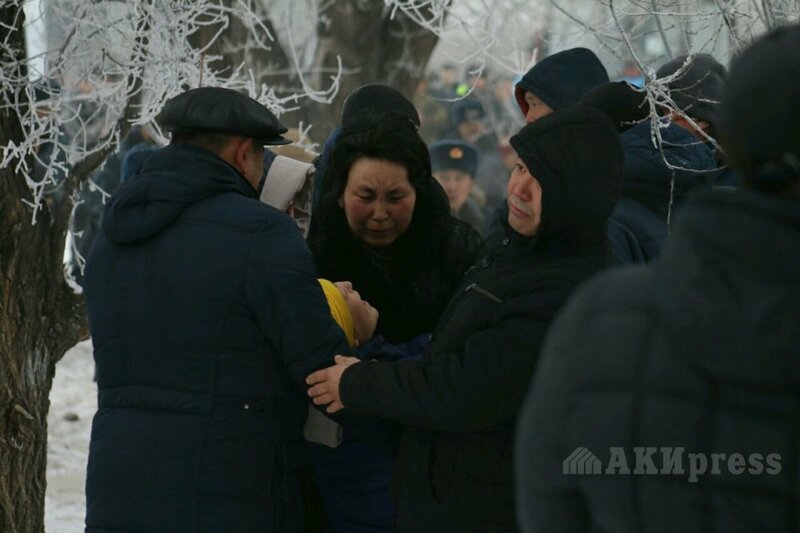 As of 9 AM, at least 15 local people were killed, deputy chief doctor of the Bishkek ambulance station Yegor Borisov confirmed to AKIpress. 9 of the local victims are adults and 6 are children, Borisov said. One of the pilots was also confirmed dead. 6 other people were injured, he said. Firefighters, policemen, doctors arrived at the scene. Deputy Prime Muhametkalyi Abulgaziyev, Minister of Emergencies Kubatbek Boronov, Minister of Transport Jamshitbek Kalilov are heading to the scene. The plane belonged to the ACT Airlines company. 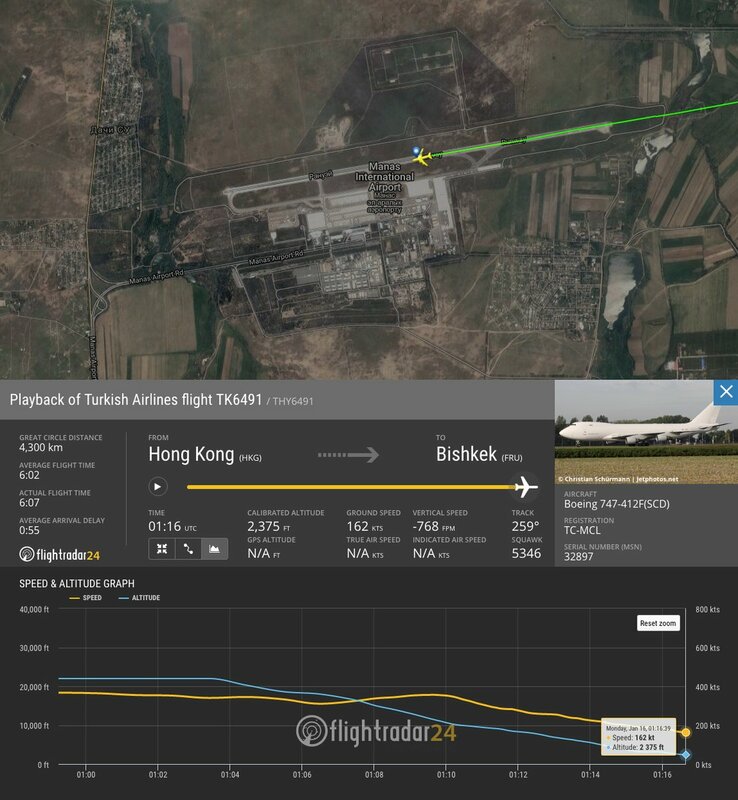 The flight was operated as Turkish Airlines Flight 6491. Death toll from the Turkish cargo plane crash near the Manas airport has risen to at least 20, the Ministry of Emergencies confirmed to AKIpress. 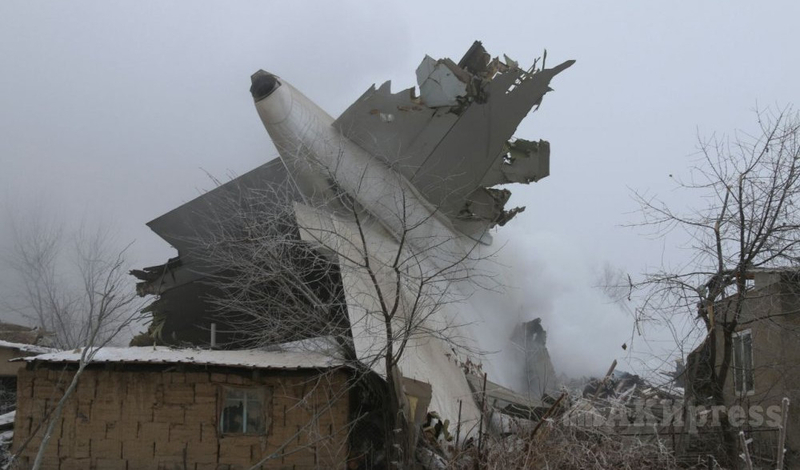 According to preliminary data, the plane crashed into at least 15 homes that were destroyed. 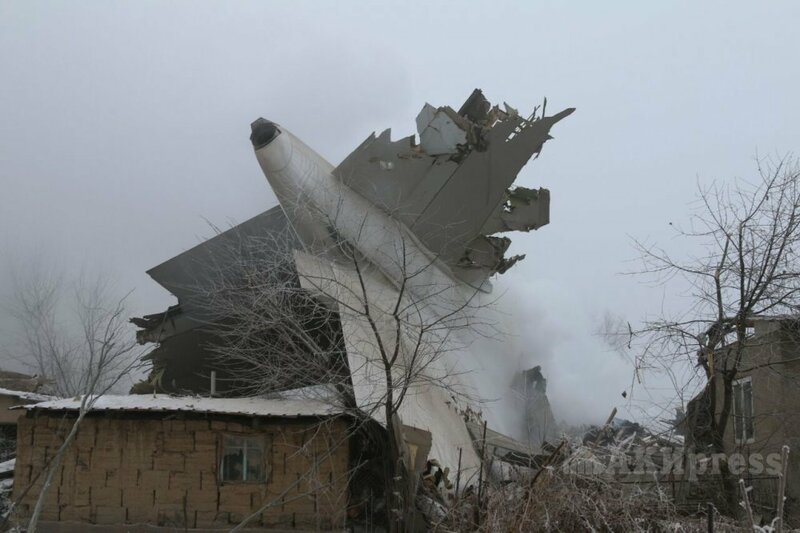 Death toll from the Turkish cargo plane crash on the houses located near the Manas airport in Bishkek rose to 28, Minister of Healthcare Talantbek Batyraliyev told AKIpress. 8 people, including 2 children, were hospitalized, he said. The death toll from the crash of the Turkish cargo plane rose to 32, said First Deputy Prime Minister Muhammetkaly Abulgaziyev. 4 crew members are among those killed. The rest of the 28 victims are residents of the Dacha-Suu village. 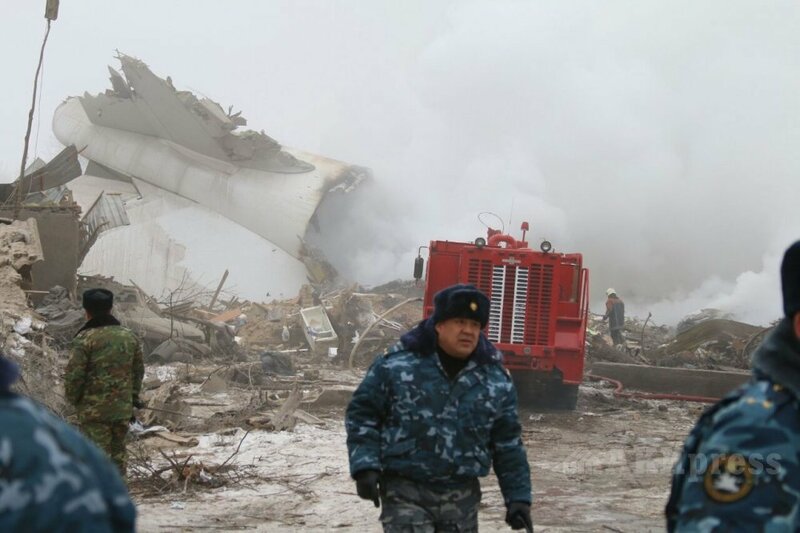 The crash site area is 335 m and 75 m.
The death toll rises to 35, Minister of Health Talantbek Batyraliyev told AKIpress. 14 ambulance crews, including 56 doctors and psychologists, are working at the crash scene, he said. 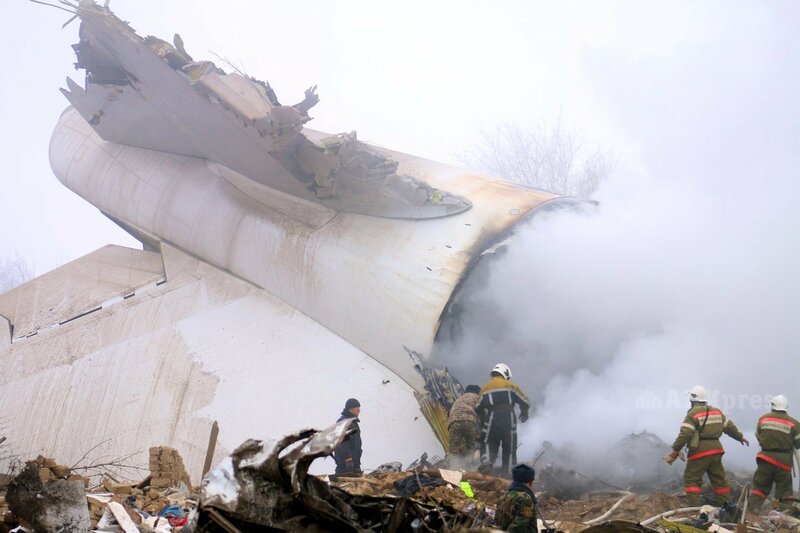 January 17 will be a day of mourning for the victims of the plane crash, the presidential decree reads. On the day of mourning, Kyrgyz flags everywhere in Kyrgyzstan and on buildings of diplomatic and consular missions abroad must fly at half mast. 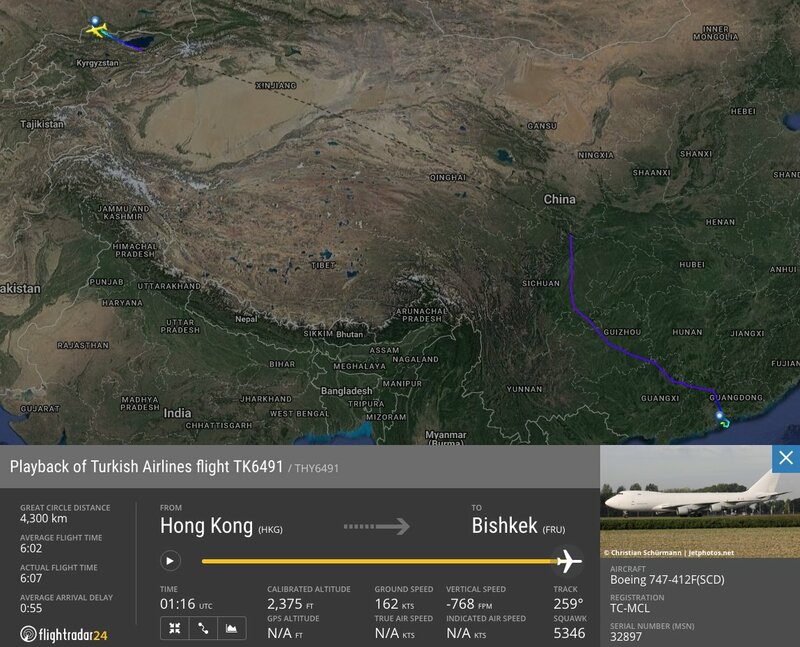 Kyrgyz Transport Prosecutor's Office said it has launched a probe into the crash of the Turkish Airlines' Boeing 747 cargo plane (Hong Kong—Bishkek—Istanbul flight) on January 16, the press service of the General Prosecutor's Office reported. The criminal case based on the part 3 of Article 280 of Criminal Code of Kyrgyzstan was handed over to the Ministry of Interior for further actions, interministerial investigative group was set up. The probe was launched into "violation of aircraft safety and operation rules resulting in the death of persons." 4 members of the crew - captain Ibrahim Gürcan Diranci, co-pilot Kazım Öndül, and two cargo transportation specialists Melih Aslan and İhsan Koca - are confirmed dead. 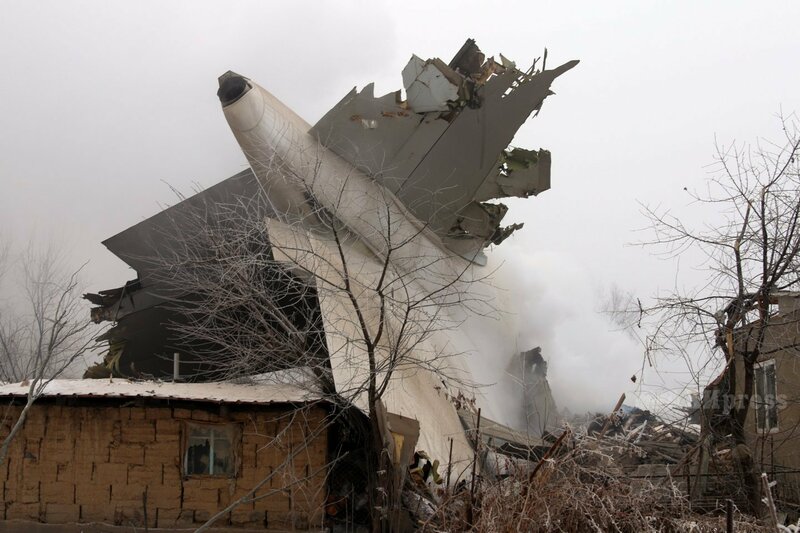 The cargo plane Boeing-747 belonging to ACT Airlines and wet leased by the Turkish Airlines, which crashed outside Bishkek on January 16, was carrying consumer goods, including equipment and home appliances, Kyrgyzstan's Minister of Transport and Roads Jamshitbek Kalilov told Tazabek. According to preliminary report, the weight of the cargo made 85 tons, the Minister said. 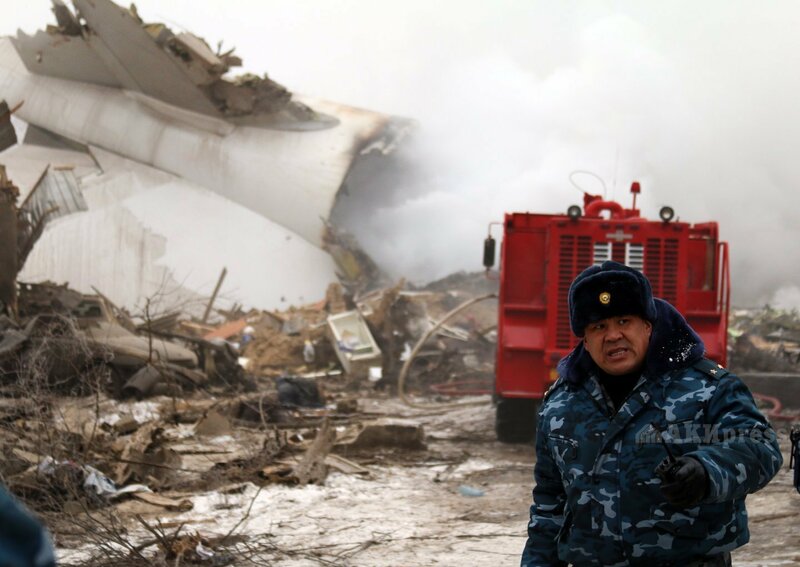 The black box of the crashed Boeing 747-400 cargo plane has been recovered from the debris, said Minister of Emergency Situations Kubatbek Boronov. "Most likely, the black box will be given to the representatives of the International Aviation Committee due to arrive in Kyrgyzstan on January 17," said Boronov. By now, the black box was taken to the headquarters set up to investigate the crash.